Author: HE Wei, Associate Professor of Digital Media Department,School of Art and communication, Beijing Normal University, got his Ph.D from School of Journalism and Communication, Tsinghua University, China. During 2007-2009, he had been a visiting scholar in both the Communication and Media Research Institute (CAMRI) and China Media Centre (CMC), University of Westminster, UK. Besides the study of networked public, Dr. He’s research areas also include digital media, Internet culture and creative industry (especially ACG industries). He is an active networked user. 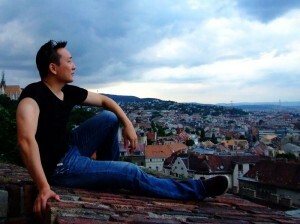 His well-known blog, ohmymedia.com, focusing on the analysis and critique of Chinese digital media phenomenon, has gained reputation among academics and practitioners.